This morning the colours around the track at Jerry's Park were so pretty that I had to go back with my camera when it was light. Granted, it's more dramatic when they all turn deep red, but I like the stage where the entire fall palette is displayed. 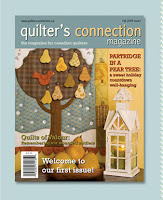 The mailman has just left with my premiere copy of the new Canadian quilting magazine entitled Quilter's Connection. Editor Heather MacArthur has done a terrific job putting this edition together. 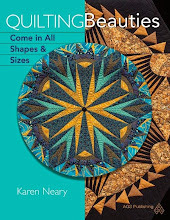 It includes original designs with full-sized patterns, quilt show listings across Canada, a Show & Tell page and columns on what's happening in Canada's quilting scene. The website lists stores across the country where the magazine may be purchased; here in The Maritimes, that includes Avonport Discount Fabrics and Atlantic News in Halifax. A subscription would make a thoughtful gift for any quilters on your Christmas list as the next issue will be the December one. 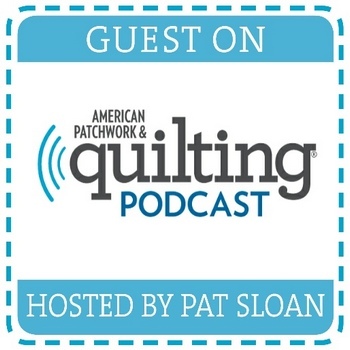 The quilter's connection blog is here. It's always cool to get mentioned on another blog, especially when that blog happens to belong to AQS and they're showing off one of your quilts. My Oriental Beauty was featured in The American Quilter Magazine earlier this year. It's shown up again on this post from a couple of days back, as advertising for their magazine. Yesterday I had the pleasure of attending the 29th annual show and sale of the Kennebecasis Valley Quilting Guild in Quispamsis, New Brunswick. As usual the quilts were spectacular. "Bella Roma" by Leigh Smith is certainly worthy of it's first place Red Ribbon in the Group Machine Quilted category. The extraordinary quilting was done by Penny Bubar. This lovely quilt entitled "A Walk In the Garden" garnered a 3rd place ribbon for Joan Smith in the Group Hand Quilted category. 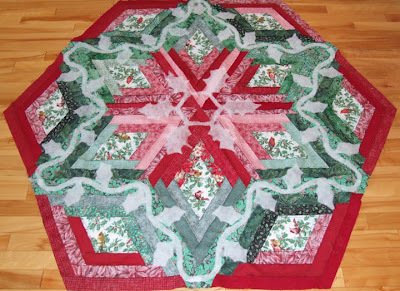 The quilt was designed as a BOM by Peggy Stevens of the Cumberland Quilt Guild. Typically, I charged my big camera the night before and then changed my mind at the last minute and took the little Nikon... whose batteries conked out after only a few pictures. For the record, I did ask permission of the organizers to take and post these pictures for sharing, something that's important to do each time. As wonderful as the quilt show was, the best part of the trip was the very pleasant company on the drive. Thank you Lynn and Marilyn for a much needed escape. I am still pondering the comment about taking my Fat Quarters with me when I got out of the car though, Lynn; we were talking about the fabric, right? Tonight I will be speaking to the Cumberland Quilt Guild about the "Diamonds Are A Girl's Best Friend" workshops being held during Fibre Festival. Most of the pieces I will keep for a surprise until class time but will take along a couple of "teasers" including the project piece for the day, a Log Cabin Diamond treeskirt/tabletopper. Yardage information is available at Dayle's for anyone who has registered for the workshop, or can be sent by email to those coming from away. I haven't had an update on numbers recently, so there may still be an opening if anyone is interested in joining us on one of the two days (Oct 14 or Oct 16 - same all-day workshop offered twice). Saturday at Dayle's I chose some fabrics in fall colours to work on a special design for Fibre Festival. So far it's still in the planning stages but with luck will come together this week. This was a beautiful fall weekend. The clematis on the back deck is in full bloom, twined around the railing. We were up and at it early for bee work, and the honey supers are now off. It appears to be a somewhat smaller crop than last year. We passed a field of cattle, silhouetted against the morning sky. The picture is a bit blurry, snapped quickly through a dirty windshield, but captures the stillness of the moment nonetheless. 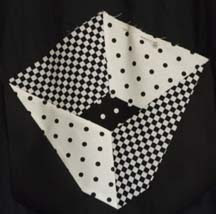 There was even a bit of time for sewing, and a few more diamond samples were added to show at the upcoming workshops. I love sewing diamonds, and use them a lot in my designs. Now that school has begun we are back to the routine of homework and packed lunches. The first batch of chocolate chip cookies came from the oven yesterday afternoon and a willing group of teenage boys were on hand for the taste test. The cookies got the nod of approval; surprisingly, there were even a few left to pack in the lunch bag today. Despite a very uncooperative sewing machine, the binding is finally on the Log Cabin Diamond table topper for the Fibre Festival workshops in October. 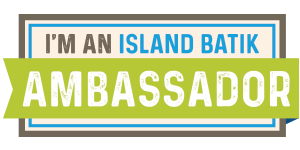 The same workshop will be presented on two different days: 9 am - 3 pm Friday October 16th and Wednesday Ocotber 14th in the Ralston Room of the First Baptist Church, Amherst. Cost of the workshop is a very reasonable $35.00. 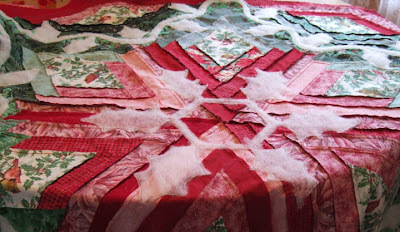 Deciding how to quilt a piece is usually more difficult than doing the piecing. This one has been percolating through my brain while I worked on sewing more tops and finally here's what I settled on. As most of the prints featured holly, it seemed appropriate to stick to a holly motif for the quilting. Adding an extra layer of batting for easy trapunto helps add dimension. With the 6 points on the diamond, the centre motif almost resembled a snowflake, except with holly branches. The centre was left bare in case this piece ends up as a tree skirt, in which event that centre will be cut out. That decision can be made later. A vine was added to twist around the edge of the outer diamonds, with holly leaves placed randomly on the vine. This is the view from the back of the quilt top after the batting has been stitched in place. From here the quilt is layered in the normal way, adding batting and backing. 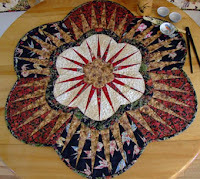 The piece finishes to about 52" across, which is a nice size on a 48" round table. The Cumberland Quilt Guild have kindly invited me to their September 14th meeting and I will bring this along with me. A Materials List is available from Carol for anyone who has registered for the day. Both workshops are almost full to capacity, so if you have been considering a fun day out, I urge you to speak up right away to secure your spot. It's going to be fun!